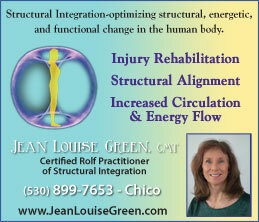 Jean Louise Green, CMT, is a certified Rolf practitioner, trained by Dr. Ida P. Rolf’s first-generation teachers. 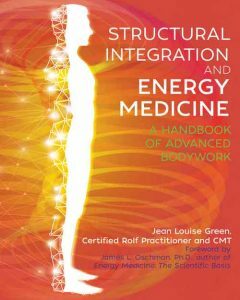 Her book Structural Integration and Energy Medicine: A Handbook of Advanced Bodywork, will be released by Inner Traditions Bear & Company on January 15, 2019. 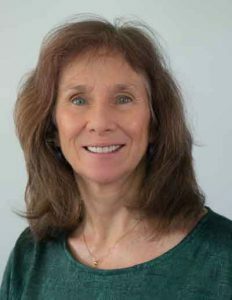 She maintains a full-time practice in Chico, California. Imagine an explorer, in this case, a French hand surgeon. He ties the tourniquet. Blood flow stops. Only 20 minutes to slide the high-resolution video fiber-optic camera carefully under the skin of his patient’s forearm and take a stroll inside the inner scape of a living human body. What he finds astonishes him. It’s nothing like the textbook photos based on cadaver labs. Instead, it is a cascade of chaotic fractal patterns of fibers, fluids, and shape-shifting gel-like spaces, slipping and sliding in response to pressures from outside the body. This seeming chaos, he realizes, is actually how movement happens in cells and tissues without damaging them. It’s an orderly response to vectors of force being spread through the fascial web! This is the watery, fibrous, living network of an inner landscape that cannot be seen in the dried, adhered tissues of a cadaver. Jean-Claude Guimberteau, the French hand surgeon, astounded many in the worldwide scientific community in 2015 with his book Architecture of Human Living Fascia. In it he relates 20 years of research that allows us to see more clearly who we are under our skins. This living matrix of fascia is wondrously beautiful, alive, and ever changing. Many of the adaptive, self-organizing, and dynamic attributes we wish to embody are already there right inside us! They permeate our entire beings through the liquid crystalline-like matrix of the healthy bodywide fascial web. This was also not news to those in the field, such as research scientist Robert Schleip, PhD, director of the human Fascial Net Plastination Project (FNPP), and his international team that came together in 2017. They are creating the world’s first preserved cadaver specimens of the fascial network, permanently infused with silicone rubber. These plastinates, as they are called, will bring the new understanding of fascia to Body Worlds, the international exhibits that are helping to educate and inspire the public about the wonders of the human body. See www.fasciaresearchsociety.org/plastination. Structural integration is a form of manual therapy created by the pioneering biochemist Dr. Ida P. Rolf, PhD, who lived from 1896 to 1979. It is personalized bodywork that addresses fascial connective tissues. Fascia has been described as one continuous fabric in the body that varies greatly in texture and thickness. This tissue gives the body its shape and surrounds and supports the nerves, muscles, organs, vessels, and bones that lie within it. It is also the pathway of movement for the flow of the subtle life force energy known as Qi. Dr. Rolf was deeply influenced by her studies of biological science and physics. She recognized the importance of gravity in reinforcing the body’s architecture and energy field—particularly if the body is organized, as she called proper alignment. “We want to get a man out of the place where gravity is his enemy. 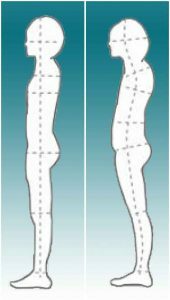 We want to get him into the place where gravity reinforces him and is a friend, a nourishing force.” To do this, the center of gravity of the major parts of the body need to be symmetrically organized one above the other around a central vertical axis that Dr. Rolf referred to as the line. When body parts are aligned in structural integration and physical, mental, and emotional stresses are cleared from the connective tissues, access to larger fields of energy open to us. We are, at heart, energetic beings in a physical body. It is our birthright to be supported, sustained, and nourished by these fields that surround us. Through a series of 10 sessions of structural integration, a practitioner systematically works with the entire body, ensuring that connective tissue layers can move freely and smoothly in relation to one another. In doing so, problematic strain patterns can be released to restore proper movement and structural integrity of the body. As strain dissipates, pain and inflammation diminish. Related emotional and mental stress may resolve as well. New energy becomes available and increased well-being can emerge. Big and little miracles happen every day on structural integration tables around the world. For a practitioner, it’s all in a good day’s work; for the client, it can be life changing. work I am honored to do. I have the feeling that it is the most important gift I could share with anyone.